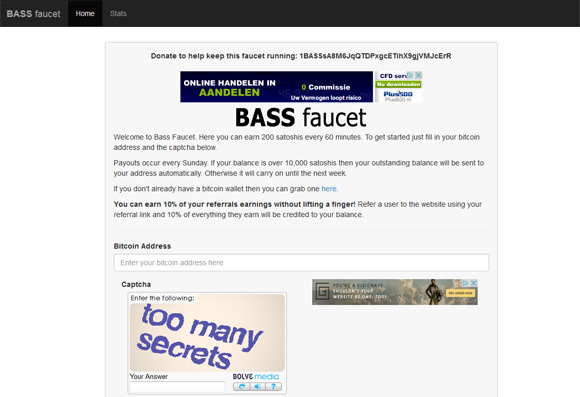 The Bass Faucet is a free Bitcoin faucet that awards you with 200 satoshi every 60 minutes. To get started just fill in your Bitcoin wallet address, the captcha below and click on the Claim button to get your reward. 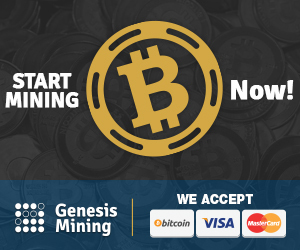 Payouts are executed every Sunday if your balance is at least 10000 satoshi, the payment is directly to your Bitcoin wallet. 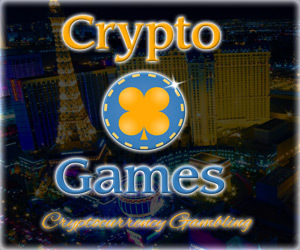 You can get additional 10% bonus for inviting your friends when they start using the service to get free coins, don’t worry your friends still get their full reward from the faucet.